HPM was incorporated in 1877 as the Hydraulic Press Manufacturing Company in Mount Gilead, Ohio. The company built apple cider presses and continued this business into the early part of the 20th Century. By the 1920’s, HPM started to manufacture hydraulic presses that were used in a number of markets, including textiles, railroads, and food processing. In 1926, HPM engineered a specialized hydraulic pump, and began marketing a line of high-speed presses. In 1931, HPM manufactured the first American-made injection molding machine. In 1940, HPM completed a second manufacturing facility that more than doubled its existing capacity.During World War II and the Korean War, HPM primarily manufactured metalworking presses for the manufacture of artillery shells for the U.S. government. In addition, presses with up to 10,000 tons capacity were manufactured for the aerospace industry. In 1956, HPM merged with the Koehring Company of Milwaukee, Wisconsin to form the HPM Division of Koehring. The HPM Division was operated as a separate unit, and operations remained in Mount Gilead, Ohio. Koehring grew HPM through acquisitions, leading to additional markets and opportunities for the manufacture of hydraulic machines. In 1959, Koehring purchased Cast-Master producing die cast machines and merged the company with HPM’s operations. In 1971, the Prodex Division, a maker of extrusion equipment, was merged with HPM’s operations. In 1976, Koehring sold the HPM Division to a group of employees and local investors, and the company was re-named HPM Corporation. In 1983, HPM purchased New Britain, a Connecticut-based toggle injection molding machine manufacturer, and in 1986, moved its operations to Mount Gilead. This expanded HPM’s capabilities in its now-established product lines of injection molding, extrusion, and die cast machines. 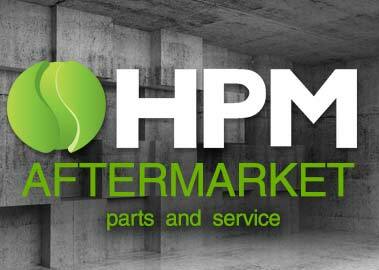 In 1996, HPM was purchased by a group of investors in California, and organized under the parent company HPM-Stadco. IN 2001, Taylor’s Industrial Services, LLC purchased HPM Corporation, which was renamed “Taylor’s Industrial Services, HPM Division” (TIS-HPM for short). Although there were orders and excellent patented core technology it was too difficult for TIS-HPM to support the cost of manufacturing and R&amp;D that has been supported for many years. With the effect of financial crisis TIS-HPM was finally taken over by Federal court, and went into the assets liquidation and debt repayment process. On March 29th, 2011, Guangdong YIZUMI Precision Machinery Co., Ltd, located in China, acquired all HPM intellectual properties. On July 8th , 2011, HPM North America Corporation (HPM NA) was set up in Marion, Ohio. HPM North America subsequently purchased the BIVOUAC Engineering Service company, which had been founded by former HPM president, Mr.William Flickinger and former HPM service manager, Mr.Dan Kane. On August 26th, 2011, HPM NA joined the North America Die Casting Association, and resumed manufacturing of heavy duty die casting machines. In November, 2011, HPM NA received its first order for four HPM 2000 ton die casting machines from a loyal Canadian Customer. In Feburary, 2012, HPM NA resumed its SPI membership, and showed an injection molding machine on NPE2012 in Orlando in April. In March 2017, HPM NA was renamed as the YIZUMI-HPM Corporation.